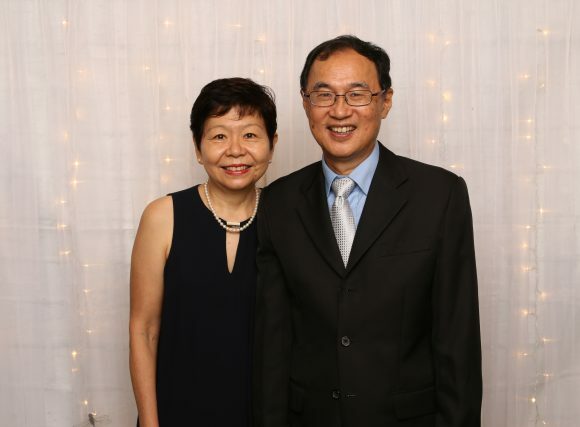 I am Kenny Chee, the senior pastor of World Revival Prayer Fellowship, a Pentecostal church that was born out of the outpouring of the Spirit upon the secondary school students of Dunearn Secondary Technical, RGS and many other schools in Singapore in the early 1970s. This is my personal blog and I write mainly about topics on spirituality, the church and ministry, my family and personal interests. I typically write a post a week. Although I wish to write two or three posts a week, this has remained elusive. My parents were married in the St Andrew’s Cathedral but never attended church after that. They sent me to Sunday School at Bukit Timah Evangelical Church so that I would grow up a good boy. However my attendance was sporadic at best and soon I stopped going. The teenage years were a struggle with inferiority, self-consciousness, shame and loneliness. Life was meaningless and centred around mastery of sports like table-tennis, tennis and basketball. I was searching for self-esteem and acceptance. The struggle would continue until Jesus came into my life and changed me radically and gradually over many years. My spiritual beginnings were during a revival among schools in the 1970s and I was borne on the powerful wings of a Holy Spirit outpouring. During this period when I was 17 years old, I felt a strong and unrelenting desire to know and to serve God more fully. It was a life-transforming, pivotal, and unforgettable period in my life. My predecessor, Rev P. J. Johney advised me to get work experience before entering the pastoral ministry. So I did relief-teaching and went into a cadet teaching program for two and a half years before the church elders finally approved my addition to the church staff. I then trained in Tung Ling Bible School but after a while I felt I needed to be better equipped. Thus I studied theology in Trinity Theological College in the early 1980s and have served in this church since then. I am currently trying to complete my MTh(Ed) with AGST Alliance. I am happily married to Jenny and have three adult children, Joshua, Matthew and Elaine, and am blessed to have an active, talented grandchild Chloe. Use the contact form to reach me by email. Do follow me on Instagram. This site is based on a WordPress theme called Twenty Seventeen, and I received design help from Vee San and it is hosted free by Different Host. I am grateful to the both of them. What is said in this blog does not reflect the views of any organization I am affiliated with.